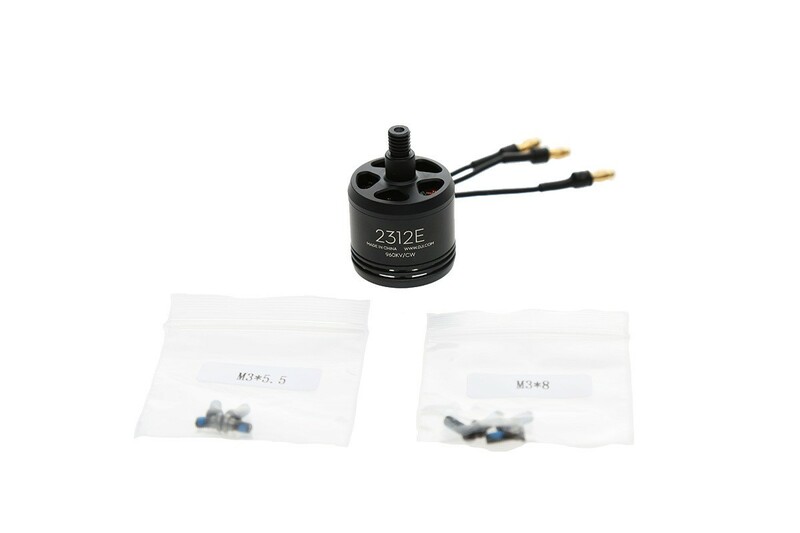 The DJI F550 Flame Wheel E305 ARF kits utilise the latest technology from the E305 Tuned Propulsion system, they can be used with the DJI A2 M, DJI Wookong M, Naza M V2 or the DJI Naza M Lite autopilot systems to achieve hovering, cruising or other flight elements. 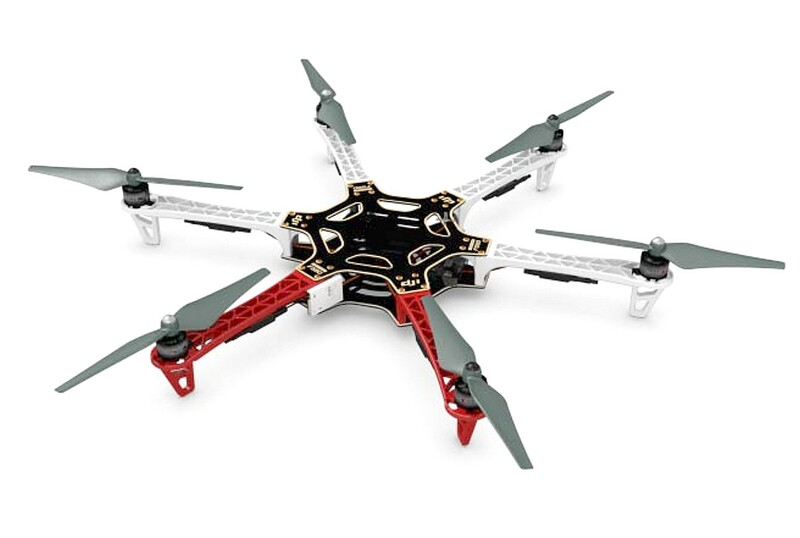 The DJI F550 Flame Wheel E305 can be used for aerial photography, entertainment, First Person View / FPV flights and other aero modelling activities. 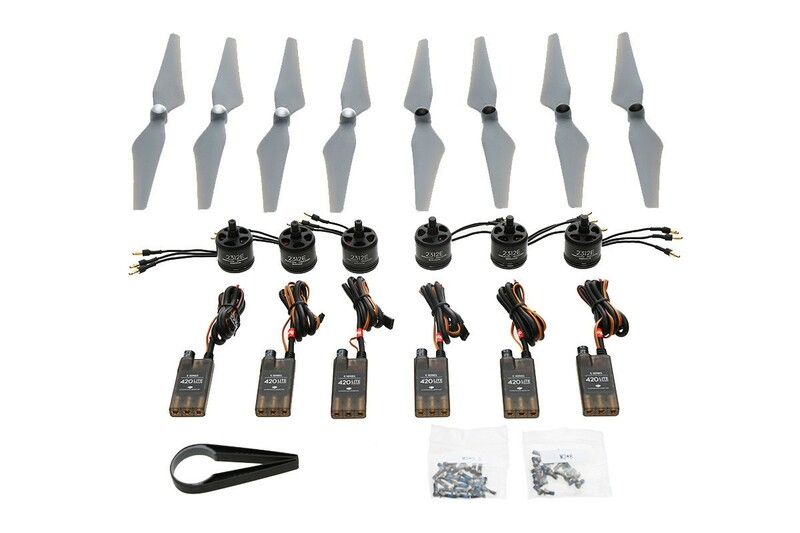 The E305 Tuned Propulsion system is designed specifically for multi-rotor use, the higher thrust to weight ratio from the E305 system increases the reliability, stability and agility of flight through enhanced aerodynamics and efficiency from the motor and propeller combination. The E305 Tuned Propulsion system uses 9.4x5.0 propellers and 2312E motors, the new power system provides both improved performance and an efficiency improvement of just under 7% over the E300 system. The higher lift generated from the new system means that payloads can be increased and yet still it retains very good flight times. 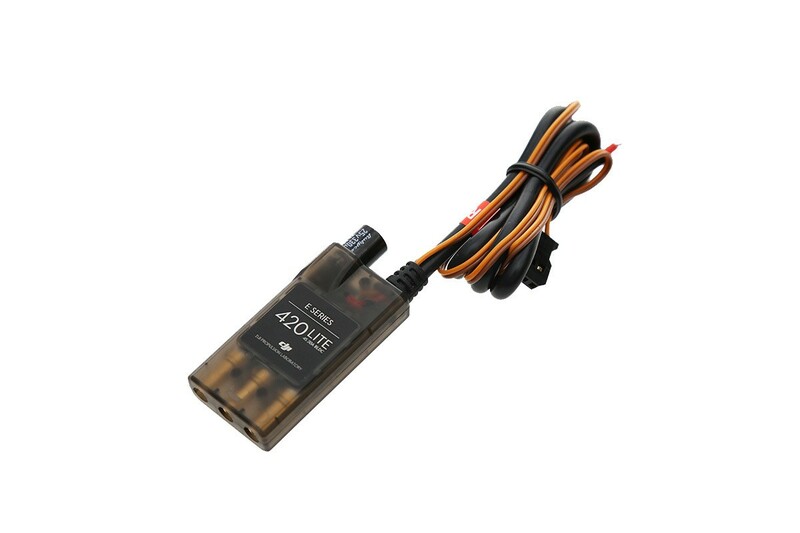 The ESC’s for the E305 Tuned Propulsion system have been improved with a new efficient and quick response algorithm to take full advantage of the new motor and propeller combination. All of the improvements contribute towards extra maneuverability and stability in windy conditions or during descent of the aircraft. The propellers are balanced dynamically to reduce “jello” and rolling shutter issues seen on non-balanced propellers when using cameras in the air. The E305 ESC’s were designed with a coaxial cable to lower the impact of electromagnetic interference to other systems while in flight. All of this in a much smaller and lighter package than before. 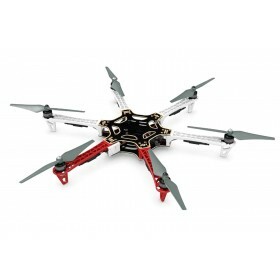 The DJI F550 Flame Wheel frames are built from very strong materials, the arms are made from the ultra-strong PA66+30GF, this provides better resistance to damage on hard landings, while the main frame plates use a high strength compound PCB material, which makes wiring the E420 lite ESC’s, battery and all your accessories on the lower of the two frame plates quicker, easier and safer this plate is also the power distribution board. The overall frame design provides enough space when assembled to fit an autopilot system between the top and bottom plates of the F550 Flame Wheel. The arms supplied in the kit are different colours, 2 red and 4 white to allow for improved visual orientation in flight, other coloured arms in black are also available. The F550 Flame Wheel frames are very easy to build and are held together by a set of shouldered bolts through the top plate and bottom plate, the bolts pass through the predrilled holes in the top and bottom frame plates of the F550 Flame Wheel into the top and bottom of the arms, a total of 6 bolts per arm holds the frame plates in place and ensures that the F550 Flame Wheel frame is very solid.